RESERVATIONS HIGHLY RECOMMENDED FOR ALL SHOWS! In honor of Dr. Seuss' birthday, join us at the Museum for our annual Dr. Seuss Family Festival! This day of play will feature Dr. Seuss story times, ooblek experiments, craft activities, a Seuss LEGO challenge, and two performances of the fun and interactive show "Seussology." Welcome to Almost, Maine, a town that's so far north, it's almost not in the United States—it's almost in Canada. And it almost doesn't exist, because its residents never got around to getting organized. So it's just... Almost. One cold, clear Friday night in the middle of winter, while the northern lights hover in the sky above, Almost's residents find themselves falling in and out of love in the strangest ways. Knees are bruised. Hearts are broken. Love is lost, found, and confounded. And life for the people of Almost, Maine will never be the same. ALMOST, MAINE: It's love. But not quite. LOIS BUESSER: A MUSICAL EXTRAVAGANZA! Join us tomorrow, and buy your ticket today. Lois is so excited to present her fifth Extravaganza, themed "Walking in the Air!" TICKETS: Single tickets for Baskerville: A Sherlock Holmes Mystery start as low as $25 and are on sale now online at www.mccarter.org, by phone at (609) 258-2787, or in person at the McCarter Theatre Ticket Office, located at 91 University Place in Princeton. More information on Ken Ludwig’s Baskerville: A Sherlock Holmes Mystery, including cast and production bios, may be found on McCarter Theatre Center’s dedicated website. Watch an interview trailer with Ken Ludwig and Amanda Dehnert here. This production is sponsored by the Blanche and Irving Laurie Foundation. Opening Night is sponsored by the PNC Foundation. Ken Ludwig’s Baskerville: A Sherlock Holmes Mystery is made possible in part by funds from the New Jersey State Council on the Arts/Department of State, a Partner Agency of the National Endowment for the Arts and by funds from the National Endowment for the Arts. ADMISSION: free There is no charge, but reservations are appreciated. Please call the church office at 201.568.0608 and leave a message with your name and number attending. The lecture your kids don't want you to attend! Come for an educational discussion about how teens and young adults are using social media and learn tips for promoting responsible use. Jack Flynn, Director of Student Conduct for St. John's University in Queens, NY will facilitate an informative lecture and Q&A. Social media sites being discussed include Facebook, Twitter, Snapchat, Yik Yak and Instagram. The event, which takes place in the Church Social Hall, will include light refreshments. Adults, only please. Contact: Carole Lotito, carole.lotito@gmail.com or (201) 294-7309. Pushcart Players teaches young people about theatre in their own schools, camps and community centers. 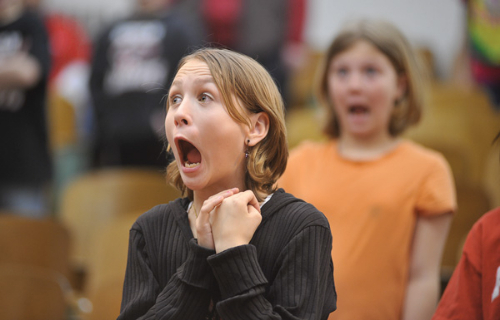 Young people learn theatre by doing it! They experience the process of putting on a show and working as an ensemble in rehearsal and performance. 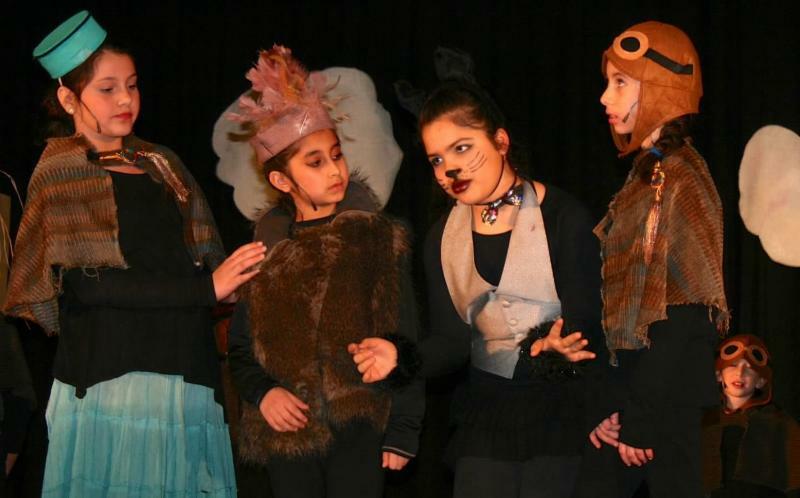 are rehearsed, designed, and presented under the direction, guidance and support of Pushcart staff assisted by parents, teachers and camp counselors. 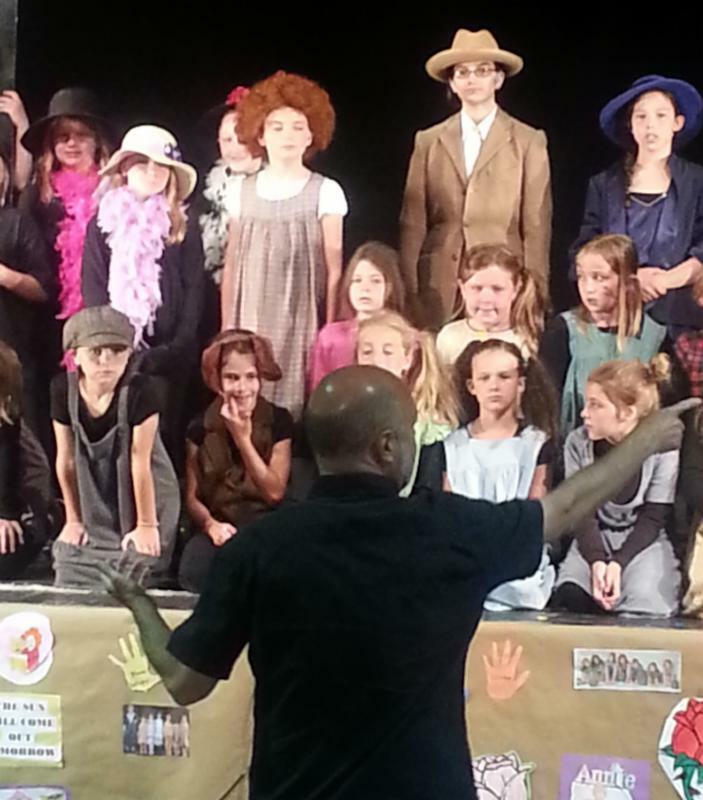 Dazzling final performances make an extraordinary school-wide and community activity! 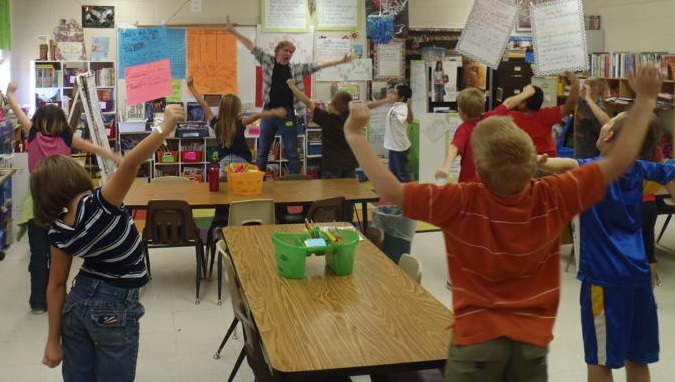 The program can serve the needs of a 2 to16 week time frame. 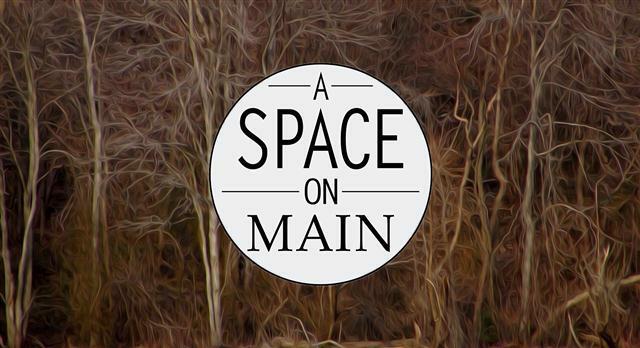 NAMI New Jersey (NAMI NJ) and A Space on Main, an art gallery in Cranbury, NJ, invite you to “Mind My Art”. The exhibit aims to create awareness and reduce stigma that surrounds mental illness. Art and artistic expression are an important part of healing and communicating about mental illness. We are excited to launch "Healing through Art" as a new project of our Dara Axelrod Expressive Arts Network. Through the initiative and active support of Ms. Latha John, artist and gallerist, this project provides opportunities for members of our community to express themselves through painting, collages, photography, sculpture and other media. “ The quality of the art is just amazing”, says Ms. Latha John, who curates the exhibit and initiated the project together with Sylvia Axelrod of NAMI NJ, “ We did not know what to expect when we created this project, but the response from the community and the quality of the work are incredible.” The works, together with artist statements, are a powerful testimony to the healing power of art. Besides demonstrating the high level of creativity, this work provides a glimpse into the places of solace that individuals have created to find strength and express their inner and outer turmoil. Clearly, these works are artifacts of hope and despair, and illustrate the important cathartic role that creative expression plays in promoting wellness and recovery. Advance registration is requested by emailing csjlrsvp@rci.rutgers.edu or calling 848.932.2033. For more information, visit the website www.BildnerCenter.rutgers.edu. Yiddish Princess mixes power pop and hard rock with traditional Yiddish music, reflecting the powerful mix of cultures found in Brooklyn and other hipster outposts around the world today. The concert, which is open to the public, will be followed by a talk-back with members of the band moderated by Dr. Jeffrey Shandler, a professor of Jewish Studies at Rutgers and a scholar of contemporary Yiddish culture, including groups that break the mold like Yiddish Princess. 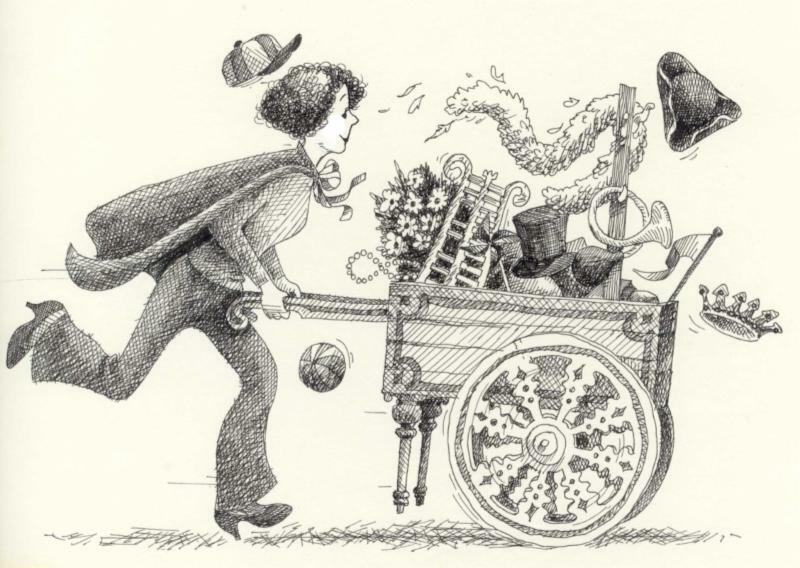 Yiddish Princess was cofounded by Sarah Mina Gordon and Michael Winograd. Gordon, the band’s lead singer, has recorded and performed with the top Yiddish groups in the world, including The Klezmatics and Frank London’s Klezmer Brass All-Stars. Winograd, the group’s keyboardist, is a leading Klezmer clarinetist. The band released a self-titled EP in 2010. More information about Yiddish Princess can be found on their website at www.yiddishprincess.com. The program is sponsored by the Department of Jewish Studies and the Allen and Joan Bildner Center for the Study of Jewish Life at Rutgers. It is free and open to the public and free parking is available. 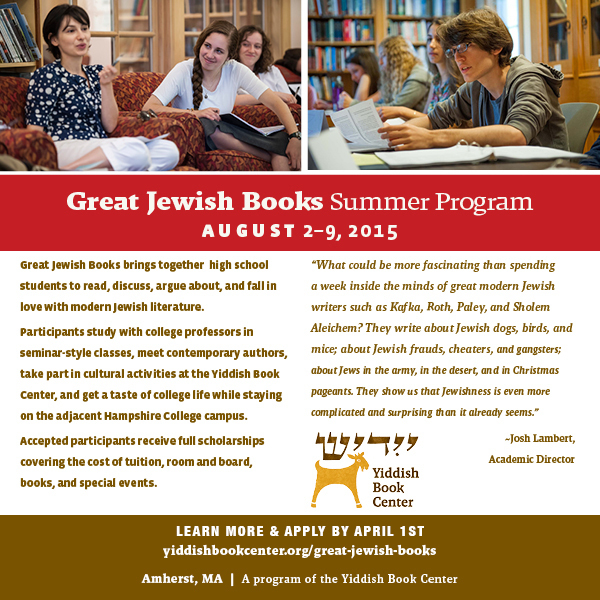 The Department of Jewish Studies offers an interdisciplinary approach to the academic study of all aspects of the Jewish experience at both the undergraduate and graduate levels. Courses offered by the department, which are open to all students, address the historical, social, cultural, religious, and political life of the Jewish people from ancient times to the present. Tickets can be purchased online http://www.sopacnow.org/507/mdr or by calling 973-313-ARTS (2787). Same day student tickets are available for $10 at the Box Office only (subject to availability, one ticket per ID, two-hours prior to curtain). The cast will feature MDR company members Adam Dannheisser (Rock of Ages), Michelle Federer (Wicked), and Stephanie Kurtzuba (Annie, the movie), with special guest Matthew Gumley(Elf) and more TBA. MDR company member Terrence Witter (Chicago) will be the stage manager. Vera Resnick was struck by a bicycle in the East Village. Now she feels a strange and out-of-character connection to the college-aged biker who hit her. Was the collision just coincidence, or did larger forces bring them together? Vera, her husband, and their hippy-chic Texan neighbor seek truth in the face of deception in this surprising and soulful serio-comedy that explores fate, family and identity. Midtown Direct Rep presents Theatre in the Loft at the South Orange Performing Arts Center (SOPAC) in South Orange, New Jersey. This series of public readings of new plays and musicals showcases new work in development in an elegant and safe setting in front of a sophisticated and engaged audience. The series focuses on works that reflect the complexities of a uniquely diverse community; writers or subjects with a local connection; and roles that can be cast significantly from the MDR ensemble. Recent projects include work by Jack Canfora, Jeremy Desmon, Chad Hardin, James Hindman, Chisa Hutchinson, David Johnston, Kara Lee Korthron, David Myers, Sandy Rustin, John Walch, Douglas J. Cohen, Zoe Samuel and others. In 2014, Academy Award®-winner Olympia Dukakis joined company members Sebastian Arcelus, Jenny Bacon, Stephanie Kurtzuba and others in Absence, a new play by Peter Flaherty. With perhaps more professional theater artists than any suburb of NYC, Maplewood/South Orange (NJ) is "where Broadway comes home to sleep." MDR, a theatre company created by and for these NJ-based artists, develops and presents relevant, world-class theatre for its community. Midtown Direct Rep company members include two-time Tony Award®-winner Norbert Leo Butz, Tony Award®-nominees Stephanie J. Block, Megan Lawrence, and Christiane Noll, plus Sebastian Arcelus, Joel de la Fuente, Bradley Dean, Michele Pawk, and many others. The Company is led by Managing Director Jeffrey Shubart, Artistic Producer Steven Tabakin, Literary Manager Marni Raab, Artistic Advisor Sandy Rustin, and Producing Director Evan Fleischer. For more information, visit http://www.middirrep.org. WHEN; Wednesday, February 25th at 8 PM on NJTV; The five-part music series will also air weekly on THIRTEEN beginning Saturday, March 21 at 1 PM (check local listings), and will be scheduled on WLIW21 in the spring. Preview episodes here. Award-winning songwriters Marc Shaiman and Scott Wittman bring their vast repertoire of songs from stage and screen. AMERICAN SONGBOOK AT NJPAC, taped in the Victoria Theater at the New Jersey Performing Arts Center in Newark in September, features performances from stars of stage, screen and concert halls. The series kicked off with Broadway’s Laura Osnes and Santino Fontana (Cinderella), jazz guitarist/vocalist John Pizzarelli and entertainer Nellie McKay, and singer Maureen McGovern performing in the first four episodes. In this week’s segment, the Tony Award-winning songwriting team of Hairspray, Marc Shaiman and Scott Wittman take center stage. Joining them to perform their music are Marilyn Maye, Micailah Lockhart, Alex Stone and Annie Golden, who belts out a rousing rendition of “Good Morning Baltimore.” to kick off the program. The show is a joyous journey through their careers including songs that Marc Shaiman earned five Oscar nominations for: “A Wink and a Smile” (Toy Story), “Blame Canada” (South Park, Bigger, Longer and Uncut). Several memorable tunes from their NBC program “Smash” are also performed: “(They Just Keep) Moving the Line”, “Second Hand White Baby Grand” and “I Can’t Let Go.” However, Shaiman steals the program with solo performances of “Big, Blonde, & Beautiful” (Hairspray) and “Simply Second Nature” (Charlie and the Chocolate Factory). 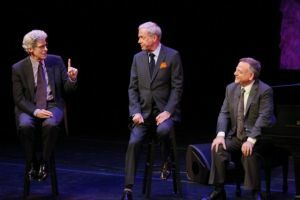 In-between songs, Shaiman and Wittman share career stories with host Ted Chapin, president and executive director of Rodgers & Hammerstein: An Imagen Company. American Songbook at NJPAC is presented, in part, through the generosity of the Blanche and Irving Laurie Foundation, the David S. Steiner and Sylvia Steiner Charitable Trust, the Johnny Mercer Foundation and Investors Bank. American Songbook at NJPAC is a production of New Jersey Performing Arts Center and Public Media NJ, Inc.. Mike Kostel is the series executive producer; David Stern is director and Annette Jolles is Associate Director. The first season of the series, which aired on local public television stations last January, was recently awarded a New York State Broadcasters Association award for “Outstanding Locally Produced Television Program”. Season One episodes can be viewed online. This weekend is your last chance to see what all the buzz is about! The Story: The Ellis County Arts Council is giving away the largest artist grant in its history; now if only they could agree on who is the most deserving. This uproarious comedy by Catherine Trieschmann recently played Off-Broadway at The Women's Project, where it was called a "frisky new comedy" by The New York Times and "smart, hilarious, riveting" by The New Yorker. (New Jersey premiere) Read more. TICKETS: $35 adults, $30 seniors 65+, $30 students 25-. Buy in advance; no fees! SAVE 10% (advance only) Enter code ART10 at checkout on the Brown Paper Tickets site. CLICK HERE TO PURCHASE TICKETS. Use the promotion code ARB. 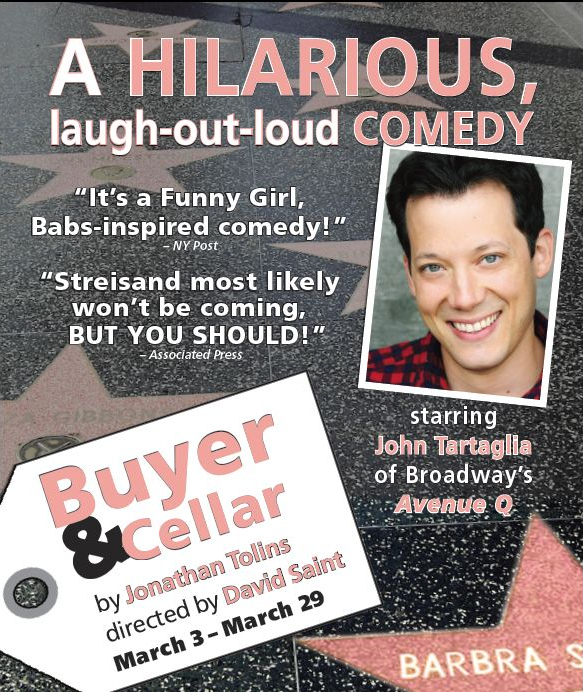 John Tartaglia (Avenue Q, Shrek, SiriusXM's Sunday Funday) stars in this outrageous hit comedy. Alex More is an underemployed actor who is hired for the oddest of odd jobs—toiling in the basement "mall" of a famous actress. 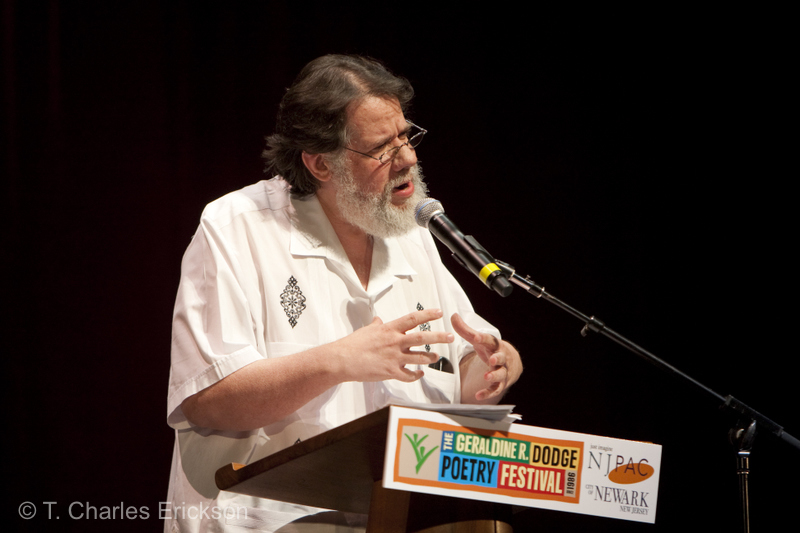 Dodge Poetry Events at NJPAC this spring! Join us for three Friday evenings of poetry, music, dance, performance and conversation! WHERE: NJPAC, One Center Street, Newark, NJ. TICKETS: $15 each, or $30 for all three events! These are only a few of the names of dance steps in rhythmic tap, which treats the dancer’s feet as a percussion instrument. 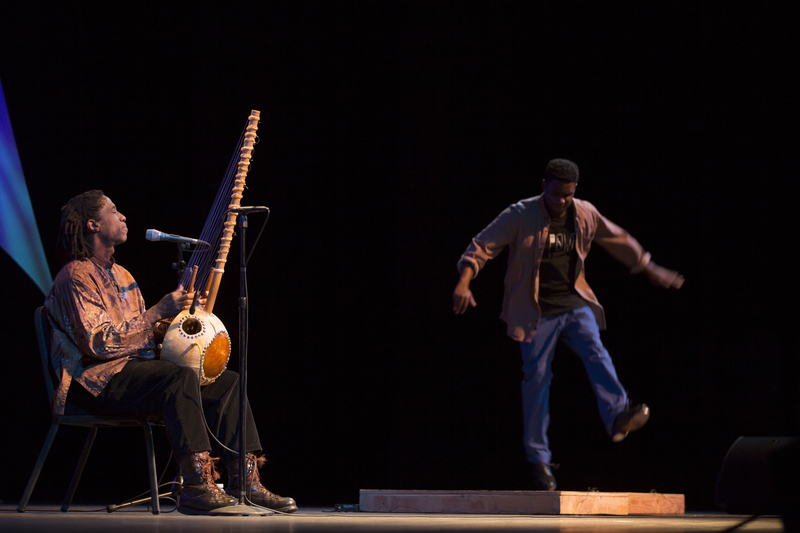 Newark resident and world-class tap dancer Maurice Chestnut accompanies poet and griot Kurtis Lamkin and other poets in dynamic duets of poetic and tap-dance rhythms. Purchase Tickets, or get all 3 for $30 here! Come hear U.S. Poet Laureate and Long Branch native Robert Pinsky and some of the many poets who make the Garden State the Poetry State. 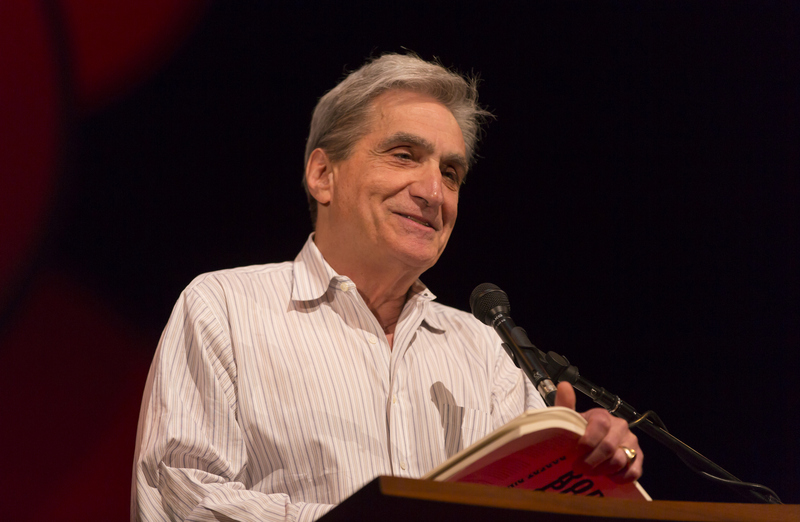 Featuring New Jersey poets Robert Pinsky (above), Renée Ashley, Cat Doty, Maria Mazziotti Gillan, Kathleen Graber, Peter Murphy, James Richardson, Vincent Toro, BJ Ward, Joe Weil and Gretna Wilkinson. Walt Whitman, William Carlos Williams, Allen Ginsberg, Amiri Baraka and many other influential poets have called New Jersey home. Poet Roque Dalton wrote “I believe the world is beautiful/and that poetry, like bread, is for everyone.” Perhaps we need it most when we face our greatest struggles. 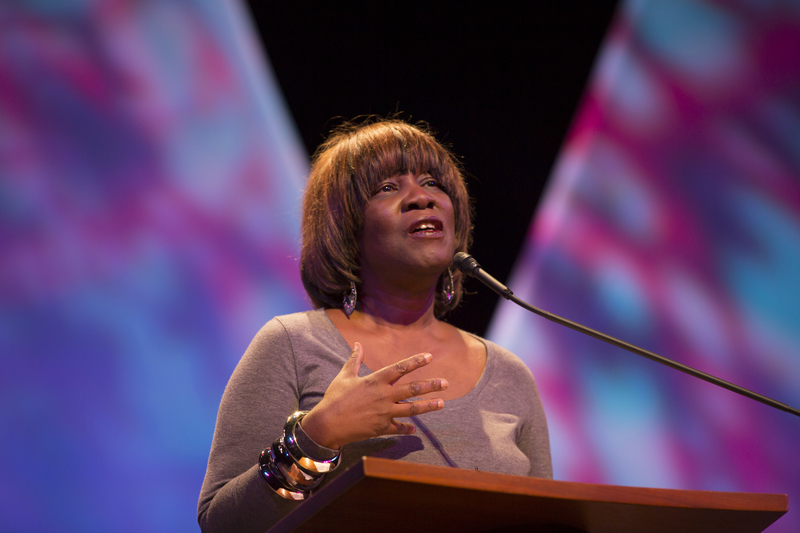 Come hear poems that, like bread, offer us life, sustenance and the strength to go on. The screening will be followed by a discussion with filmmakers Hafiz Farid & Shelley Grodner Seidenstein, both award-winning producers & co-writers. Luna Stage would like to thank the following businesses for generously donating to our reception.